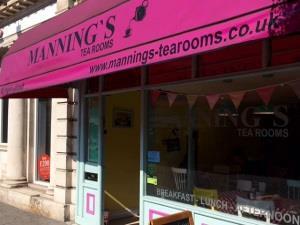 Mannings Tea Rooms & Cafe01277 210029work Tea/Coffee ShopAfternoon tea has come to Brentwood High Street. Come in and sample our range of delicious breakfasts, lunches and afternoon tea. Hen parties, birthdays and other special occasions can be catered for. Afternoon tea has come to Brentwood High Street. Groups must be pre booked and scheduled past 2.30pm.